You may not know it, but the wish granting business is hard work! The Make-A-Wish Foundation of the Mid-South grants more than 200 wishes every year! There is a lot of work behind the scenes: staff and volunteers devote their time to make this happen, and there are many ways to help. One way to contribute is by volunteering and raising funds at one of their events during the year. This weekend, that’s exactly what I did. This Saturday, I saw the sunrise for the first time in a long time. 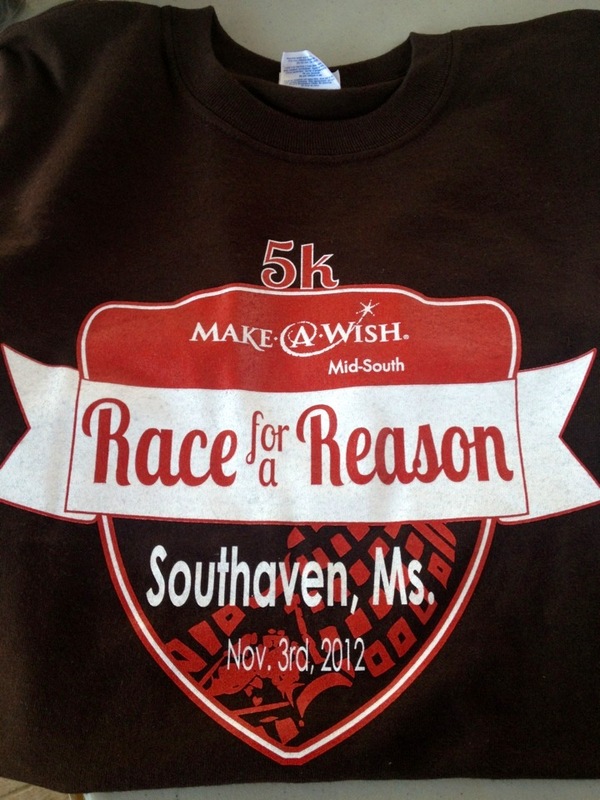 It took a lot of effort to pry myself out of bed in the dark and head down to Mississippi for the Race for a Reason 5K. I finally crawled out of bed around 6:15, but by that time, Melonie Goolsby had already been hard at work. Melonie volunteered to run the Honor Society at Southaven Intermediate School and wanted to give her 3rd, 4th and 5th graders a chance to think beyond themselves: “People try to put a limit on what these kids can do, but it’s amazing what they can accomplish if you let them.” The race went off without a hitch, and afterward she asked her Honors students to raise their hands and she praised them for their dedication to Make-A-Wish. The kids beamed. You could tell they were proud of what they had achieved. After hearing the announcement, one of the runners was so inspired that he walked over to Melonie and handed her $100 for Make-A-Wish. Melonie told me she had two goals for this event: she wanted to teach the kids about philanthropy and raise enough money to grant a wish. I’m sure she is well on her way to accomplishing both. How can you ask for a better volunteer experience than that? 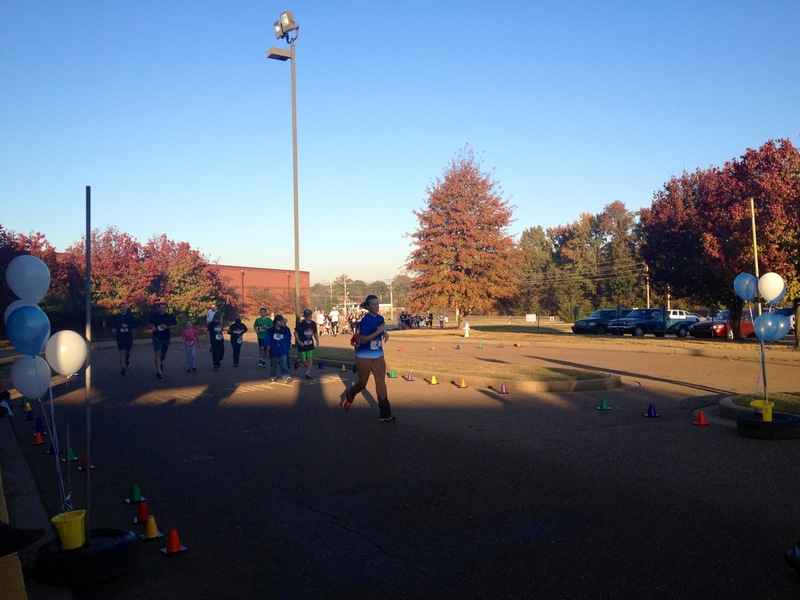 There are so many ways you can help Make-A-Wish Mid-South! 1) Volunteer at an event. There are numerous events throughout the year that benefit Make-A-Wish and if you’re looking for a one-time commitment, this is a great way to get involved. The next big event, Season of Wishes is December 10-14. 5) Donate! Make-A-Wish runs on volunteers and donations. You can make a donation of any size. Donate. 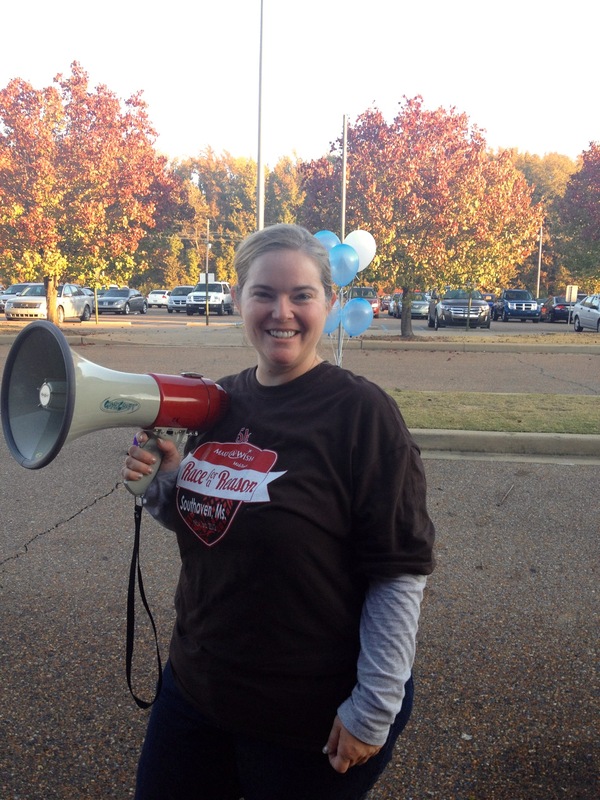 Email Marcy at mseidel@midsouth.wish.org and she’ll help you find the right volunteer opportunity for you. Melonie Goolsby. Volunteer Coordinator Extraordinaire!